membership list - name insert? 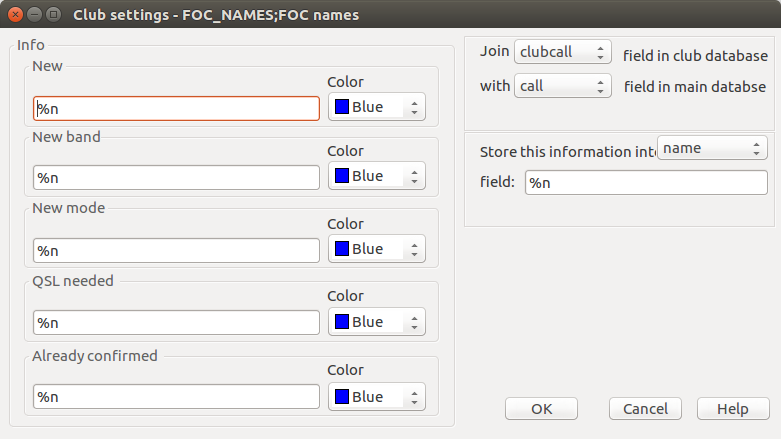 I am trying to get the FOC_Names to insert into the Name: box without success. I possibly have the wrong script set up so any guidance would be helpful. "Join clubcall field in club database with call in field in main database." "Store this information in to Name field %s #n"
I then get "FOC_NAMES" in the Name: box when a call is entered. I suspect the scripts on the left hand side need changing? Re: membership list - name insert? Marvelous! Just fixed. Appreciate the quick response. If It's OK with you, I will do a positive review of cqrlog for FOCUS? That would be great! Some FOCers told me during the QSO they are using CQRLOG but my memory is so rusted, I don't remember who it was. I think Howie, N4AF is using it, Benny K5KV and of course my best friend and co-author of CQRLOG Martin, OK1RR. Actually he does a lot of more work than me. 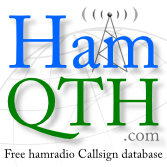 Country tables, QSL managers and most of membership files are updated almost daily! I'm sure there are more users but I don't remember :(. WE HAVE A NEW BUG USERS GROUP AND I CREATED A MEMBERSHIP FILE FOR IT. ALL WAS WELL UNTIL I ADDED MEMBERS 107 THRU 110 AND CAN NOT GET IT TO RECOGNIZE THEM. 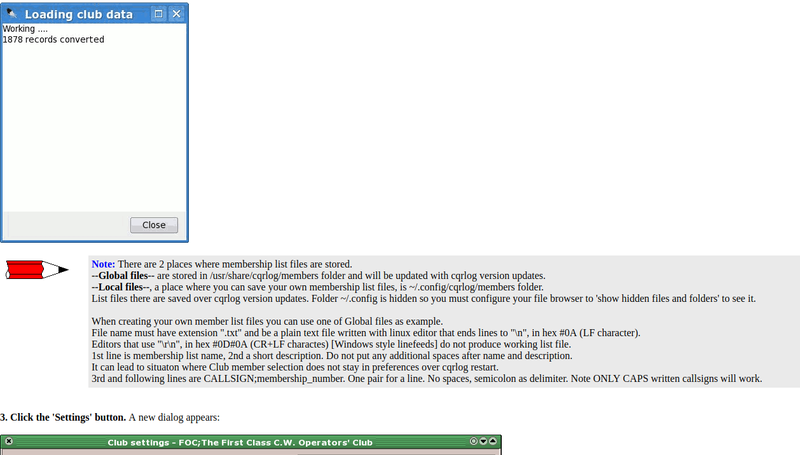 I PUT THE REVISED FILE IN /USR/SHARE/CQRLOG/MEMBERS THEN RAN THE MEMBERSHIP SETTINGS AND LOADED THE FILE. IT WORKS ON THE OLDER MEMBERS BUT NOT THE NEW ONES. IDEAS? IF I CAN GET THIS FILE INTO THE CQRLOG DISTRIBUTION I WILL VOLUNTEER TO KEEP IT UP ALONG WITH THE FOC FILE. I could not get it work properly at all. But I have never used any clubs. Perhaps I do something wrong. If I set BUG or any other club from preferences it does not stay there over program restart. When starting again all clubs are empty. When I choose BUG, without closing program, I can get information down to #036 but no further. 1) callsigns #107 to #110 are written in low case letters while all others are upcase letters. I do not know if these have any effect. And can not try as I can clubs section work at all. Most I suspect low case letters. I CREATED THE FILE FROM A FILE MADE FOR A WINDOWS LOGGER BY WB6BEE. I USED MOUSEPAD FOR LINUX WITH A MILL FONT THAT IS ALL CAPS ALL THE TIME. I CHANGED TO CAPS FOR THE MISSING RECORDS. I WENT TO THE END OF THE LAST WORKING LINE AND DELETED UNTIL NO SPACE OR LINE BETWEEN 106 AND 107. THEN I HIT RETURN AND SAVED THE FILE. IT WORKS NOW. I THINK YOU WERE RIGHT ABOUT THE WINDOWS EDITOR BAGGAGE. THEN I TESTED WITH LOWER CASE AND THAT WORKS TOO. NOW IF THIS FILE WILL BE INCLUDED BY CQRLOG, I WILL VOLUNTEER TO KEEP IT UPDATED MORE CAREFULLY. WE HAVE SEVERAL MEMBERS USING CQRLOG IN THE GROUP. SO FAR THE CALLS FOR VOLUNTEERS FOR CLUB LISTS HAS IGNORED MY OFFERS TO HELP WITH THIS GROUP AND FOC. Today I spent some time to find out why membership functions do not work in my cqrlog. I had first look at the source to see what happens when membership file is selected and loaded. And then how it selections are saved over cqrlog restart. After that I checked with mysql console that membership list was loaded to database. Reason why It did not work was that I was testing with your file. (most of the time). Made some fixes to help file (that is included my test binary zips).